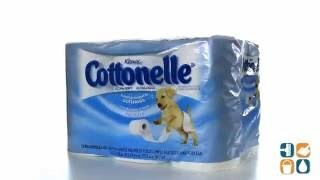 Count on unmatched strength, absorbency, and home-like comfort with Cottonelle extra soft toilet tissue. 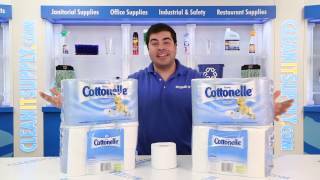 Combining the right amount of softness with long lasting rolls to provide a sensible combination of comfort and value, Cottonelle Toilet Paper is a great solution for the home or office. This standard toilet paper is an economical, high-capacity, compact roll that decreases and reduces the risk of run-outs. 4.2-in.w x 4-in.l sheets. 12 rolls per pack. 4 packs per Carton.